Champions is excited to host the 2019 Elite Summer Showcase Tournament. We are excited to again be partnering with Sinc Sports and USA Elite Select to bring you another premier college exposure event. We will host some of the top teams from across the county at the request of our nationally ranked local travel teams. We will review applications for the summer showcase and acceptance will be based on the same criteria as our fall event. THERE WILL BE NO FULL ACCEPTANCE INTO THE 2019 CHAMPIONS ELITE SUMMER SHOWCASE WITHOUT PAYMENT. We are happy to again be partnering the SINCSPORTS for the 2018 Elite Summer Showcase. Please CLICK HERE TO REGISTER with Sinc Sports for the event. If this is the first tournament you are applying for through SincSports, just click the “Register” button. 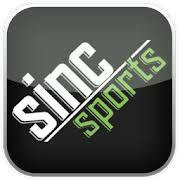 If you have already created a SincSports account, please login first by clicking “LOGIN” above. When you are logged in, all of your information will be populated for you so you don’t have to enter it again. Please also fill out the BELOW Champions Team Information and Bio so we have immediate access to your team information for direct communication. We will also use this information when we pool teams and create a schedule.